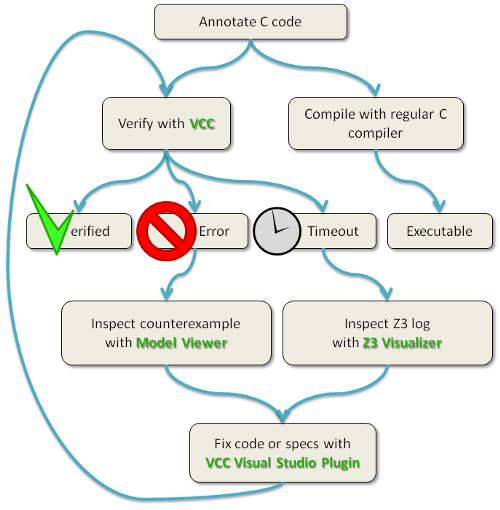 VCC is a tool that proves correctness of annotated concurrent C programs or finds problems in them. VCC extends C with design by contract features, like pre- and postcondition as well as type invariants. Annotated programs are translated to logical formulas using the Boogie tool, which passes them to an automated SMT solver Z3 to check their validity. 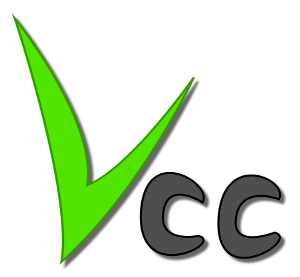 VCC is available for non-commercial use, with sources, at our codeplex site. The VCC research project is being developed primarily in European Microsoft Innovation Center in Aachen, Germany and in the RiSE group at Microsoft Research in Redmond. The current primary goal of the VCC project is to to verify Microsoft Hyper-V. The Microsoft Hyper-V is a hypervisor — a thin layer of software that sits just above the hardware and beneath one or more operating systems. Its primary job is to provide isolated execution environments called partitions. Each partition is provided with its own set of hardware resources (memory, devices, CPU cycles). A hypervisor is responsible for controlling and arbitrating access to the underlying hardware and in particular for maintaining strong isolation between partitions. Hyper-V consists of about 60 thousand lines of operating system-level C and x64 assembly code, it is therefore not a trivial target. 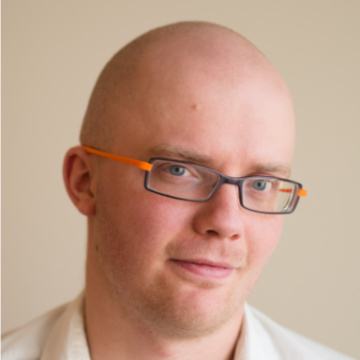 support for low-level C features (bitfields, unions, wrap-around arithmetic) — we are verifying operating systems after all! Verifying concurrent C programs with VCC, Boogie and Z3. Workshop on Linking Tools for Verified Software, Microsoft Research Cambridge, November 27-28, 2008. Slides as available as PPT or PDF, but the PDF version doesn’t have inter-slide transitions.